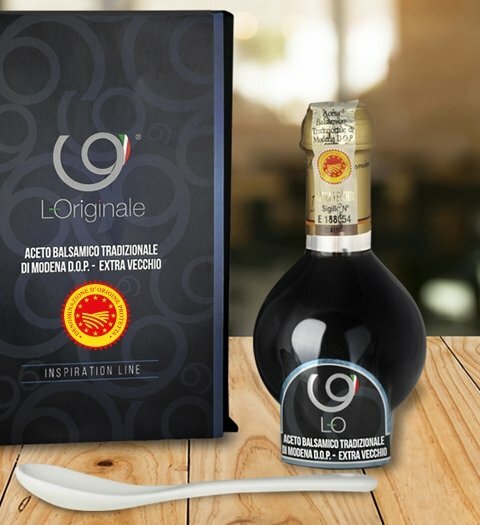 L-Originale® L-Originale® Aceto Balsamico di Modena I.G.P. L-ORO is a top quality product with a perfect sweet-sour balance. Made of direct fire cooked must and aged for years in precious Barrique oak barrels. This vinegar is characterised by its high density, the typical balanced and armonic scent, sweet flavour and a mild acidity.